Made of feathers, silk or paper, handheld fans were primarily designed to cool the person carrying it. However, Gucci takes it further as there is something more exquisite and graceful of flaunting a designer fan as a must-have fashion accessory. The Italian luxury brand of fashion and leather goods has unveiled a paper fan on Bergdorf Goodman. 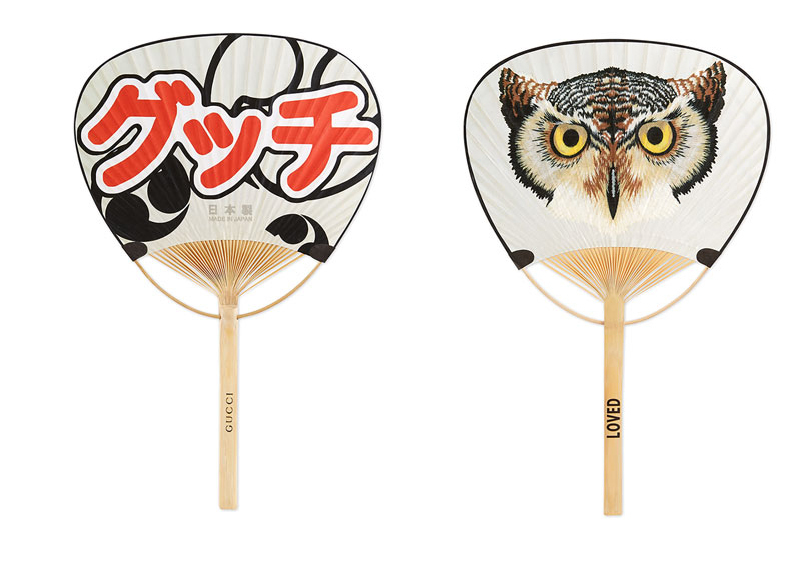 The Fifth Avenue based luxury goods department in New York City is taking pre-orders for the $250 Paper Fan with Owl Print. 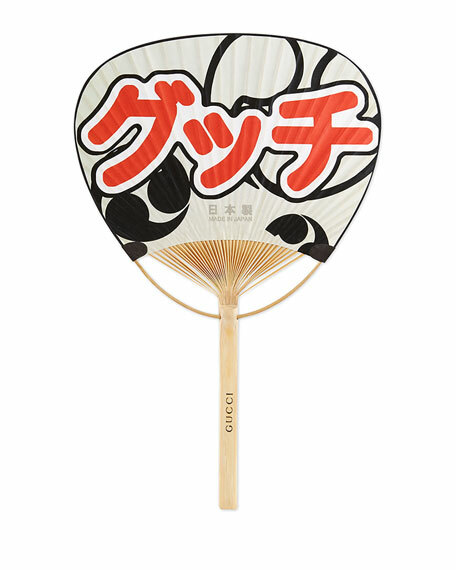 As the name suggests, the white paper fan with a wooden handle comes with an owl painted on one side and “Gucci” written in Japanese print on the other. Made in Japan, this new must-have spring and summer accessory is expected to ship by early May. 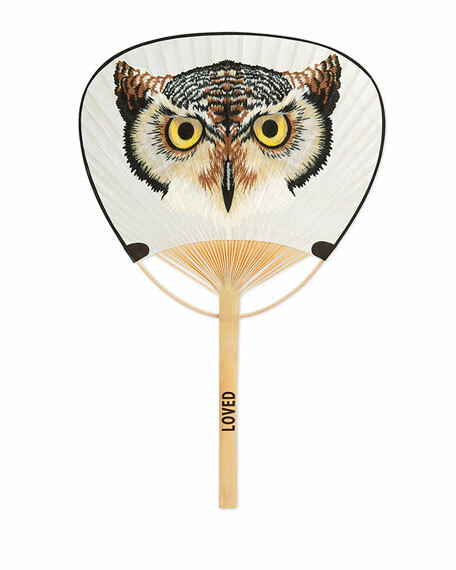 Bergdorf Goodman is also offering a $450 Gucci fan which is made of printed silk. Fitted with an ebony handle, it is decked with a silk tassel.